This month there is a 6 page feature on ABBA in the French magazine –Paris Match (April 22 edition) The web site features some rare unseen photos taken in 1977. BENNY – The music goes on..
At 63, in short, music is still Andersson’s life, much to his satisfaction. “I come here every day and try to deal with the muse,” Andersson says, speaking by telephone from his studio in Stockholm. ‘`I can do exactly what I wish to do. I don’t have to bother about making a living and all that, so I can aim for what I feel is important to do. And, as you can hear on that record with my band, I can just do whatever I feel like. 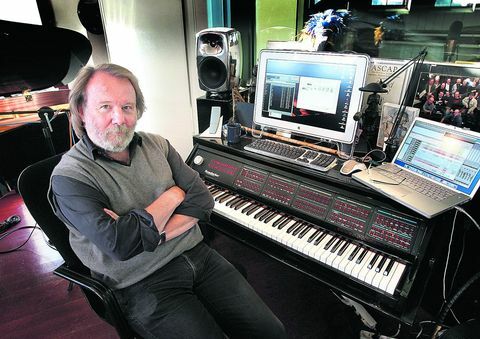 Benny Andersson’s Orkester represents a musical path Andersson trod well before Abba formed in 1972, quickly became a worldwide sensation and sold 375 million records to date. As heard on Story of a Heart, the band takes him back to the Swedish folk music, polkas, waltzes and big-band arrangements that he heard growing up, played at home by his parents. His father and grandfather — both “hobby -Musicians,” Andersson says – introduced him to the accordion, which he began playing at 6. As a youth growing up in the 1950s and early 1960s, however, Andersson began being exposed to other music. “It was a little different being here, though,” says the musician, whose first records were Elvis Presley’s Jailhouse Rock (1957) and Italian singer Caterina Valente’s Du Bist Musik (1956). Andersson soon found himself in a rock band, the Hep Stars, and was inspired by the Beatles to begin writing his own music. “My first song wasn’t so good,” Andersson admits with a laugh. “My second, it’s a song called Sunny Girl, was quite good as a melody. After some modest early success, Abba’s breakthrough came at the 1974 Eurovision Song Contest, won by their song Waterloo, which subsequently topped charts in Australia, Germany and the United Kingdom, as well as reaching No. 6 in the United States. Andersson and his cohorts never looked back. The group’s eight albums yielded 13 American Top 40 hits, including enduring favourites such as SOS (1975), Mamma Mia (1976), Take a Chance on Me (1977) and the chart-topping Dancing Queen (1976). 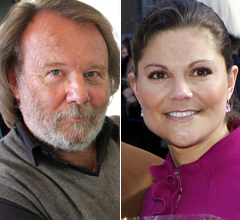 Abba’s catalogue continues to sell three million records a year, which still surprises Andersson. 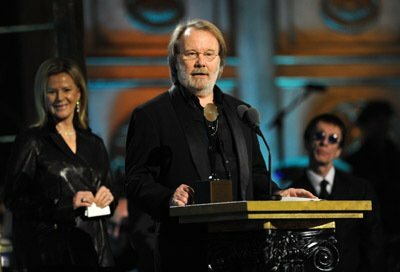 Abba’s induction into the Rock and Roll Hall of Fame this past March was another surprise, Andersson says, especially since even he doesn’t really think of the band’s music as rock. “I take it as a true honour,” says Andersson, who attended the ceremony with Lyngstad and played keyboards while Faith Hill sang the group’s songs. ‘“We are and were sort of a solid pop band, and there is a difference between pop music and rock-’n’-roll music. Being inducted into the Rock and Roll Hall of Fame wasn’t on the map, really, for us. 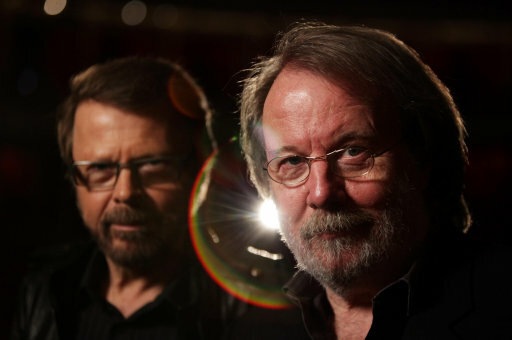 Andersson and Ulvaeus involved themselves in musicals and concept pieces after Abba’s demise — Chess, a collaboration with Tim Rice, was a concept album three years before it was staged — and also went into production, starting with the brother-sister act of Anders and Karin Glenmark. Andersson released a solo album, Klinga Mina Klockor (Chime My Bells)” in 1987, and later put together Benny Andersson’s Orkester, starting with five fiddlers and subsequently recruiting singers such as Tommy Korberg from Chess and Helen Sjoholm, who had been part of Kristina from Duvemala. 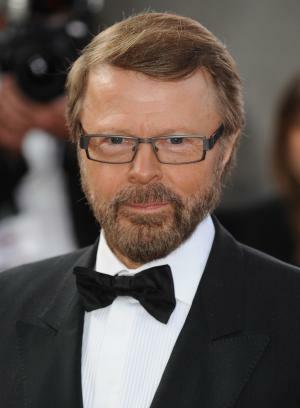 The band started recording with a self-titled album in 2001, with Ulvaeus writing lyrics, and Andersson says that he tries to keep the group as busy as he can. The group comes together for seven or eight shows a year, usually outdoor dates in Sweden with a dance floor on the grounds and performances that go on for several hours. “In the old days with Abba we were sitting together, ganging along on guitar and piano, but it hasn’t been like that since Chess,” Andersson says. Comments : Comments Off on BENNY – The music goes on..
Last night’s amazing performance of KRISTINA at London’s ROYAL ALBERT HALL was a huge success. This is the front cover of the exclusive brochure from the show. More pictures and video to follow! Benny and Bjorn have spent the day at the Royal Albert hall doing various press interviews etc before tomorrow nights UK premiere of KRISTINA. 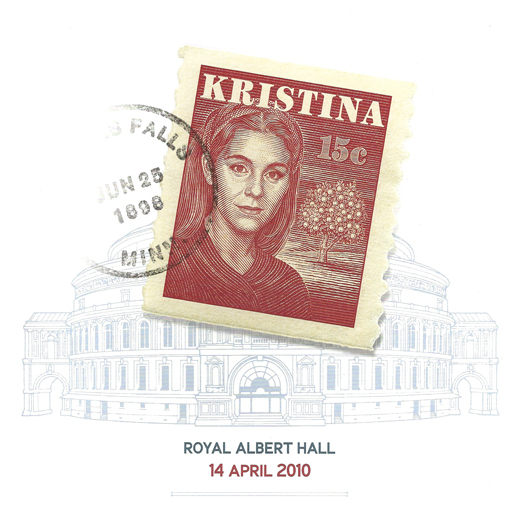 Amazon UK have reported that the KRISTINA AT CARNEGIE HALL CD released on the 12th sold out on Monday,and are rushing to fill existing orders. The CD has received many outstanding reviews as did the actual concert in New York. Both Benny and Bjorn will be present at the Royal Albert Hall concert and will appear on stage with the cast. (At the end of course!) Get those camera’s ready! Benny has been given the honour of writing a special song for the June wedding of Princess Victoria. The day before the wedding (June 19th) the Government will host a state gala in honour of Victoria and Daniel Westling. So far it is unclear who will attend and who will perform at the event. A specially written composition to be played the night before the wedding of Victoria & Daniel.